The Museum is renowned for its exhibitions and scientific collections, which serve as a field guide to the entire planet and present a panorama of the world's cultures.Home to more than 200 scientists who work across the broad disciplines of anthropology, astrophysics, biology, Earth and planetary sciences, and paleontology, as well as to one of the world's most extraordinary collections of specimens and artifacts, the Museum is a leading research institution with world-class facilities and researchers who carry out 100 field expeditions around the world each year. Through the Richard Gilder Graduate School, it is the only U.S. museum to award the Ph.D. degree. 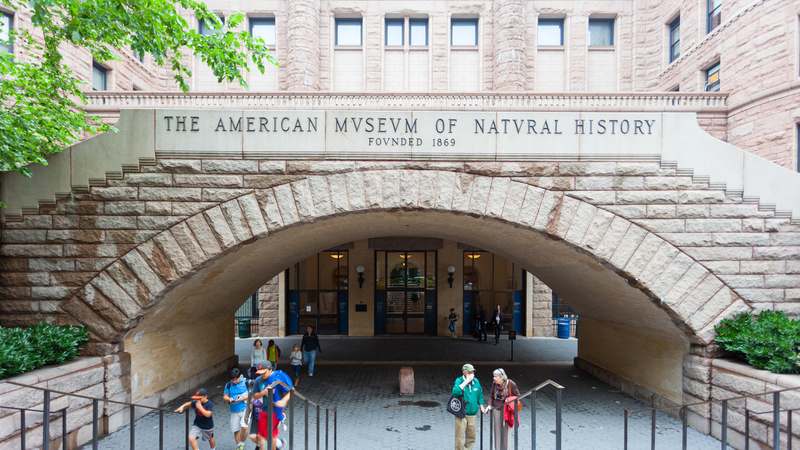 General admission includes admission to the museum's 45 permanent halls and the Rose Center for Earth and Space. Tickets may be required for special exhibitions, Space Shows, LeFrak Theater films, and programs. Students, seniors, and children receive discounts.